This is my 50th post and I have every reason to be excited. So I wanted this post to be really special. With this post I am introducing a new section in my blog! Any guesses? I’m sure you must have already guessed! Yes! It is the new DIY section! I would like to start with this super stylish hair accessory. I first saw these on my friend’s hair who got them from Thailand. In fact she was really sweet to get me a couple of them as well. I was intrigued by the fact that it is actually so simple to make and yet so beautiful. There’s nothing like doing your hair in a pretty up do, even better if that up do gets accessorized with your very own creation. Sounds interesting?? Trust me, making it is easier than you can ever imagine. So get into the nostalgia of your crafts classes in school and start working! Wire the bead as shown. 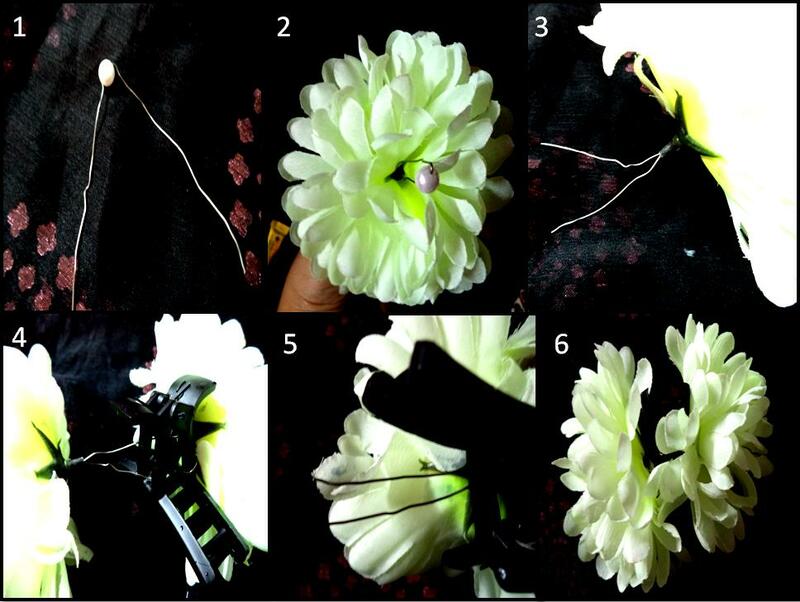 Insert both ends of the wire through the flower from the top as shown. Pull out the wire from the other end. Insert the wire through the square opening of the hair clutch. Bend the wire and take it out from the side. Twirl the wire around the clutch to secure the flower. Repeat the above steps with the second flower on the other side of the clutch. 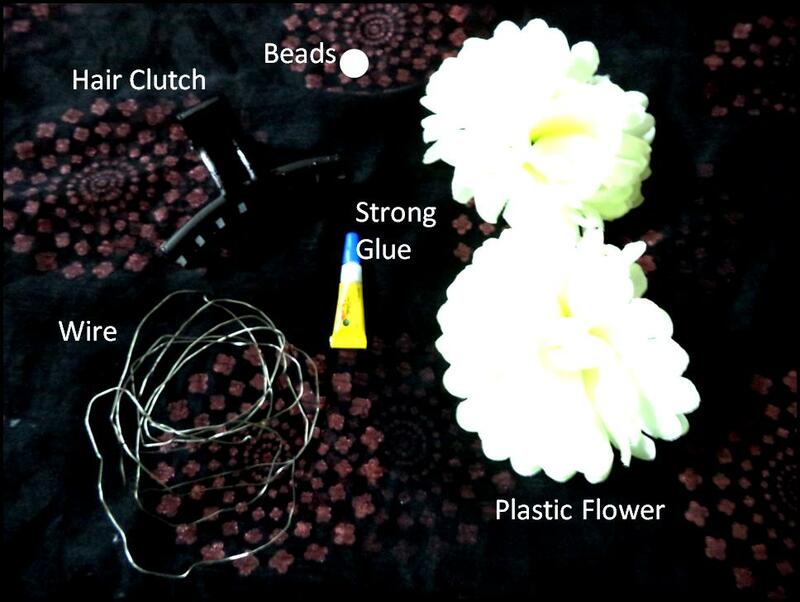 If you are using paper flowers, you can simply stick the flowers to the hair-clutch with a strong glue instead of using the wire. 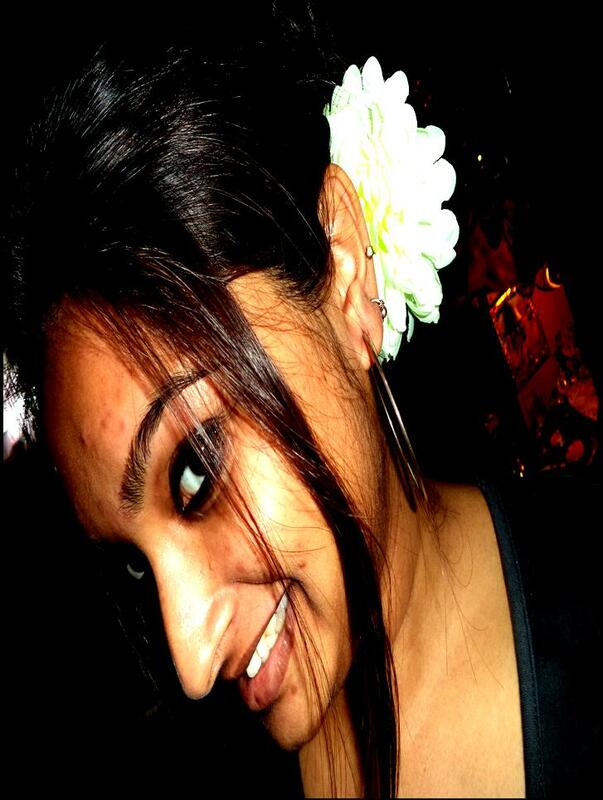 Experiment with different flowers for the perfect hair accessory with your outfit. Do let me know how you liked this DIY hair-clutch. For the final touch, keep that gorgeous smile on and stay stylish.